The Brahma Kumaris is an international NGO in general consultative status with the Economic and Social Council of the United Nations and in consultative status with UNICEF. With its global headquarters in Mt. Abu, Rajasthan, through more than 8,500 centers in over 120 countries the Brahma Kumaris offer a wide range of courses and programs to create positive change. As a worldwide family of individuals from all walks of life the organization offers an education in human moral, and spiritual values. It recognizes the intrinsic goodness all human beings and offers meditation classes to help each one rediscover their inner resources and strengths. In the past seven decades the organization has made values like purity, peace, love and joy a practical and sustainable experience in the lives of millions of people around the world. The vehicle for exploring and emerging these inner resources is Rajyoga meditation and positive thinking courses. 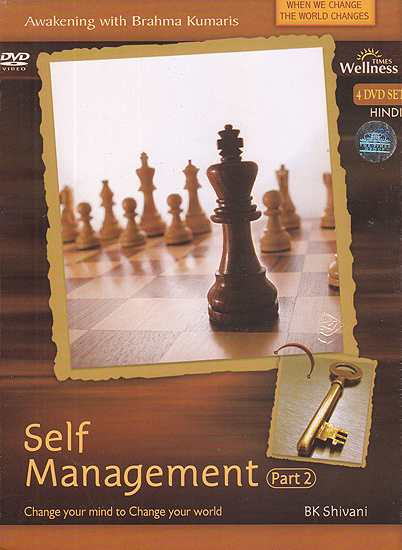 Self Management which is really life management is learning how to accept total responsibility for our self have healthy relationships play the right role and use the resources we already have within us in the most effective ways and thereby fulfill our life’s mission to be happy and at peace with our self and with the world. Responsibility - No person event or situation is responsible for our happiness we are the creator of all our thoughts feelings and actions. Relationships - It’s not what others say or do that hurts us it’s what we do with what they say or do that hurts us let’s stop emotionally abusing ourselves. Resources - We all have the same resources but one of the factors that make us all unique is how we use those resources physical mental and spiritual. The Brahma Kumaris teaches Rajyoga as a way of experiencing peace of mind and a positive approach to life. The organization provides opportunities to people from all religious and cultural backgrounds to explore their own spirituality and learn skills of reflection and meditation derived from Rajyoga which will help develop inner calm clear thinking and personal well being.